Sometimes when a consumer takes out a loan to pay for a house, a car, or to pay for emergencies, it is with the plan to pay off the loan as fast as he possibly can. 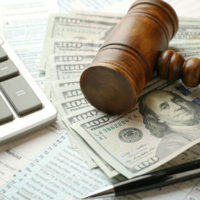 This may mean that the consumer plans to make several loan payments before they are due in what is known as prepayment. When a person makes these advance payments, it can usually decrease the overall repayment cost for the loan because it takes away from the interest charged. Lenders do not generally have a problem with consumers making advance payments on their loans. However, some lenders only allow consumers to make advance payments if they also pay penalties for making the payments in advance. These are known as prepayment penalties. Some prepayment penalties only apply if a person makes a payment in full before the loan term is over. Prepayment penalties are sometimes considered to be indicative of predatory lending. This is because in many cases, a loan that contains terms on prepayment penalties probably includes other unfair loan terms that harm the consumer in the long term. When consumers see terms that have to do with prepayment penalties, they should search the loan agreement for other predatory terms such as: inflated interest rates, adjustable interest rates, and add on costs and fees. Lenders who attempt to charge prepayment penalties for the payment in full of a mortgage loan may do so when the homeowner sells the home and pays off the loan, or when the homeowner refinances the mortgage. It is important to understand that under Pennsylvania law, a person who takes out a mortgage loan is allowed to prepay the loan in full without any added penalties. When a lender charges a prepayment penalty on a loan, it is usually based on the fact that the consumer signed a contract agreeing to the prepayment penalty. The lender could also structure the prepayment penalties as ordinary fees that can be charged under the law. It is important for the consumer to both read the contract when borrowing the money and signing the paperwork, and to understand the fees associated with the loan. If you already have a loan in place and want to start making extra payments towards the balance, you should look to the terms of the loan agreement to determine if you may be required to pay a penalty. If you are required to pay a penalty, you should consider putting the extra funds in an interest bearing account and saving it for a future payment. Alternatively, you can make the calculation and determine if, even with the prepayment penalty, you still save more by not paying interest for the loan in a longer time period.